1 Hour Ahead, 1 Year Ahead – Happy 2010! Time flies and today is the last day of 2009. 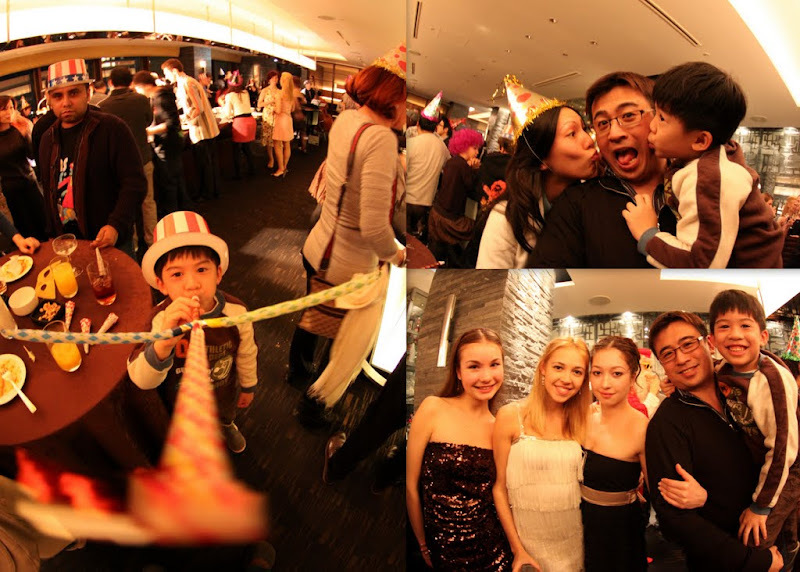 In the next 10 minutes, our friends and families in Singapore and Hong Kong will be celebrating 2010! (This is the year when Minister Mah failed to lead Singapore into the World Cup Finals!) December has been an exceptional great month for me. Especially the last 2 weeks, I have spent good quality with my families and friends. Here in Japan, we have already gone into the 1st hour of 2010! 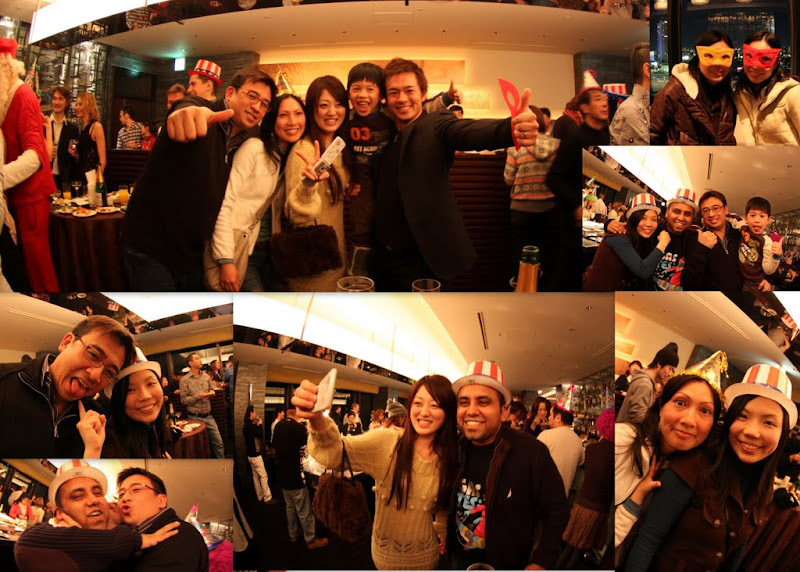 We joined 100 over really beautiful strangers on the top floor of Metropolitan Hotel counting down (in Japanese) to 2010! We certainly don’t know the Japanese numbers but we recognized the final moment when party poppers burst into the air! The atmosphere was fantastic! And very very new year! The star of the party was certainly Elkan. He wooed and won the hearts of the young Japanese and Caucasian girls. Harshad too, was <again> popular! Enough said – enjoy our new year photos!